Every month I like to share my goals. 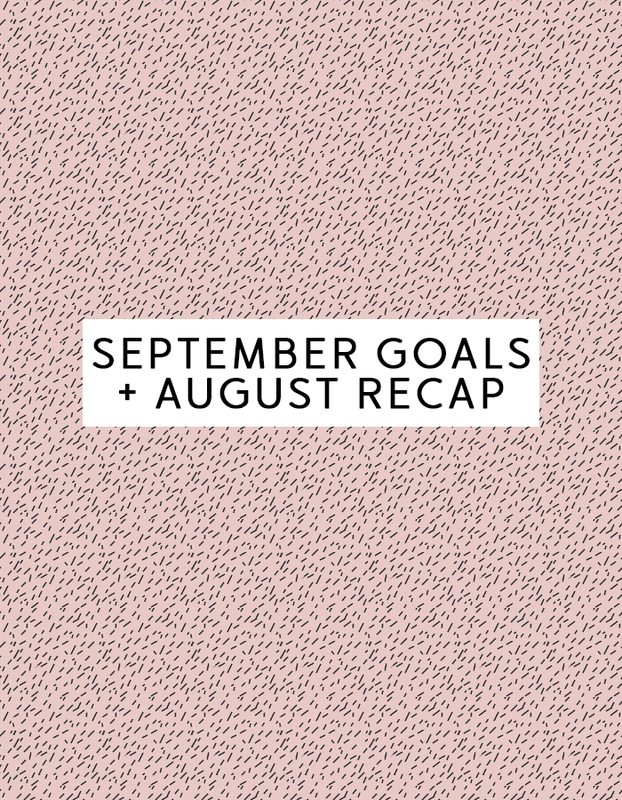 Sometimes I share just blog/biz goals and sometimes personal goals. Right now with a baby that takes up almost my entire day I’ve decided to just focus on a few blog/biz goals each month until we get to the point where I can get more done in a day. Increase traffic by 10% from July to August: FAIL. My traffic actually went down about 5% because I wasn’t posting while I got the new design up and running. Oh well! Get two weeks ahead on scheduled posts: FAIL. Now that the new design is done and done, I think I can get this done this month. Finish up rebranding and launch: SUCCESS! Launch new design process + packages: SUCCESS! Check them out here. Consistent Posting: Monday, Wednesday, Friday is the schedule I’m attempting to stick to. I’ve done it in the past for certain lengths of time, but I want to do it for a whole month to get my momentum going. Brainstorm & Come Up with 3 Digital Products: My How to Sell on Instagram Ecourse is still doing pretty good and my goal is to launch at least one more ebook or ecourse before the end of the year. You can help me here, what would you like to learn from me? I’m sticking to two goals this month! I have at least one client project booked (interested in blog or branding design? click here for info) so I want to be able to focus on that project as well as getting the blog ahead of schedule. I think all of this combined with staying at home with a baby is pretty reasonable.